In the Northern hemisphere, October marks the celebration of the harvest season; in the case of the U.S. Thanksgiving, the celebration goes well into November. Many countries, faith traditions, and regions have a festival around harvest time; it generally involves sharing a meal made of seasonal dishes, possibly participating in a parade, attending a religious ceremony as well as perpetuating other local traditions. 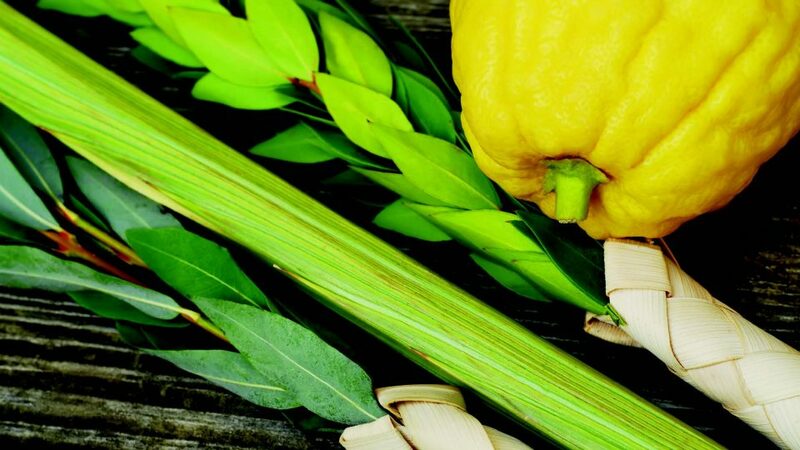 The Jewish Festival of Sukkot is starting this coming Thursday and will last for seven days (Leviticus 23:34-43). Sukkot is the harvest festival mentioned in chapter 7 of John’s Gospel. According to the Jewish tradition, Sukkot has a twofold meaning: an actual harvest celebration and a commemoration of Israel’s time in the desert when God fed them with mana and water. In the biblical context, both aspects of the festival recognize that the food we receive is always a gift from God. Sukkot is often translated as the Feast of Tabernacles; literally, sukkot means booths and refers to the temporary dwellings Israelites had while wandering in the desert; those booths are similar sometimes to the temporary shelters built by farmers in their fields during harvest. It all comes together. I am certainly intrigued by the idea of celebrating the gift of harvest and at the same time reminding those blessed with abundance that “vanity of vanities; all is vanity” and nothing ever lasts. I read it like a call to some radical humility and dispossession. A harvest festival is not the occasion to celebrate the accumulation of goods or wealth, but a time to be thankful and recognize our privileges. More than ever in recent years, it may be important for us this fall to pause our harvest celebrations and look around us: here and elsewhere, many farmers have seen their crops destroyed by storms and rain and winds and quakes; many animals have been killed by those same ailments or simply left behind; trees uprooted, lands flooded… Yet it is very unlikely that it will affect us! The food industry will work very hard so that the shelves of our supermarkets don’t go empty. What is the cost for that to happen? I like the pairing of Sukkot, the Jewish harvest festival, with the reading of Ecclesiastes. It represents a powerful way to force celebrants to pause and reflect on the goods that we gather. According to John’s Gospel, Jesus himself went to Jerusalem to celebrate Sukkot. He must have heard then the old wisdom of Ecclesiastes; and Jesus said: “I am with you for only a short time, and then I am going to the one who sent me. You will look for me, but you will not find me; and where I am, you cannot come.” (John 7:33-34) An echo: nothing lasts; this sounds like radical dis-possession. We need to let go of what we cherish the most, maybe this is the harvest season ahead of us!